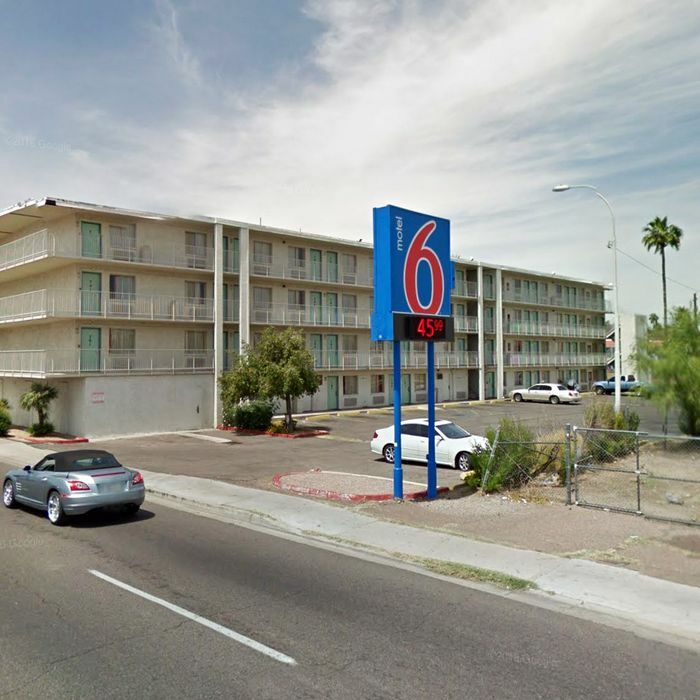 In the first eight months of 2017, at least 20 undocumented immigrants were arrested at two Motel 6 locations in Arizona after employees shared information with Immigration and Customs Enforcement. Daily tips from hotel employees, uncovered by the Phoenix New Times, had ICE agents showing up at two hotels, both located in largely Latino parts of the Arizona capital, about once every two weeks. Neither hotel management nor corporate PR would talk to the New Times about the arrests, but employees confirmed that sharing information with ICE is part of the daily routine. If Motel 6 is in fact working with ICE, it wouldn’t be the first time the chain has cozied up to law enforcement. In 2015, a Motel 6 in Warwick, Rhode Island, began sending its daily guest list to the local police department, which would then check for outstanding warrants. Though police need a warrant to compel hotels to turn over guest information, there’s nothing stopping hotels from volunteering it. Hotels also have no legal obligation to inform guests that their names will be sent to the authorities, despite the obvious invasion of privacy. The other big problem here is that by allowing police to run every guest through a database, the hotel is also allowing the police to go on fishing expeditions in their search for otherwise law-abiding undocumented people.